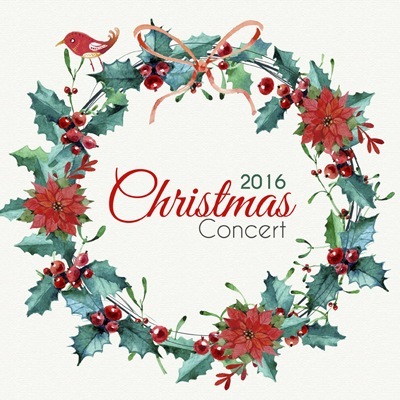 This years Christmas concert will be held on sat 17th Dec in the Jedburgh town hall at 7.30pm. Tickets are £5/£6 and are available at Lothain Road Spar of From me to you on the High st Jedburgh. Come along for a night of Christmas cheer. A fun night is assured and Simon Cowell will NOT be there. On Sat 5th Nov, the Jedforest Instrumental Band took part in the 16th annual Borders Entertainment Contest which this year was held in the Borders College in Galashiels. There were 20 bands from all over Scotland that took to the stage with each band required to put together 15 mins of entertaining music. The Jed band, competing in the 1st division out of 4, played band no 20 on the day and knew they'd have to play well to force their way into the prizes. Under the directorship of MD Phil Rosier the band opened their programme with the circus march 'Jubilee' before changing styles with a stirring rendition of Defying Gravity from the hit Broadway musical Wicked featuring the bands very talented kit player Cameron McCreadie. The tender euphonium solo, Lament from Stabat Mater was played by the bands principle Euphonium Scott Renwick before the band then completed their set with the very technically challenging piece Nightingale dances which is based on the classic song A nightingale sang in Berkeley Square. The adjudicators, Michael Fowles and Marieka Gray said the Band was very talented and had played with great sound and style. 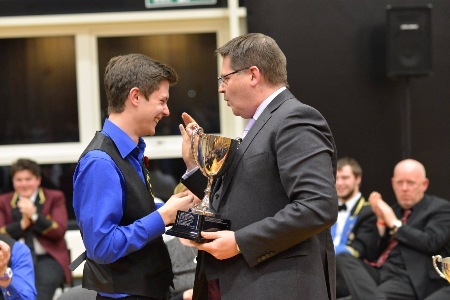 The band was awarded the crown of Best Borders Band as well as Best Instrumentalist prize for the Kit Player Cameron and 2nd place overall behind the Bathgate band. MD Phil added "As ever it was a privilege to direst Jedforest Instrumental band yesterday and the bonus was a great set of results. Many thanks to Cameron Mabon and Rob Hume who did lots a of great prep work directing the band. I'm fortunate to have two great musicians help me prepare the band. Also Scott Renwick for his calm , controlled solo. It was worth "waiting" for. Ultimately the success of the band was down to a team mentality , time, effort and a lot of hard work. Many thanks." The JIB will be taking part in the Borders Entertainment Contest on Sat 5th November. This years contest will be held in the Borders College campus in Galashiels from 9.30am. 20 bands from across the country will each play a 15 min programme of light music. JIb will be conducted by Philip Rosier and will be on stage at around 6pm (approx). Come along for a full days entertainment. 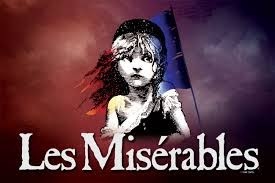 After the fantastic success of our Les Miserables evenings, we managed to record the show and the tracks are available on our soundcloud page. Follow the link to all the bands recordings. We have had some technical issues over the past month or two but we are now back up and running. 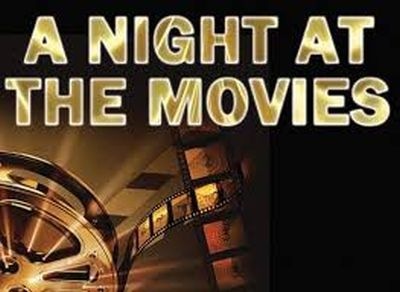 Jedforest Instrumental Band Presents 'A Night at the Movies' Sat 21st of May in the Jedburgh Town Hall, Doors open at 7pm. Do not miss out on what will be a great night out. The Band went to Perth knowing that a tough days competition lay ahead but whatever the result was that the band would earn their highest ever placing in the Scottish Championships by competing in the 1st section for the first time in 162 years. Drawn in the dreaded no 1 position the band took to the stage under the baton of MD Philip Rosier and certainly gave a good account of them selves at this level with many a commentator indicating that the band gave 'a solid account of the very tough test piece'. Realistically, the band knew a position of about 7 or 8 was about the best we could achieve and hoped to stay out of the bottom 2 to avoid relegation back to the 2nd section. However, once the dust had settled and the results were announced we were placed 9th out of 10. Not last but still in the relegation places. In reflection it was great to test ourselves at a new level and one that the band didn't look out of place in. We now look forward to regaining promotion back to the 1st Section next year. 19th best band in the whole of Scotland isn't at all bad. Best Horn: Steve Craig (Tullis Russell Mills) ing in the 1st section for the first time in 162 years. 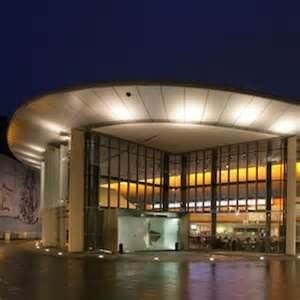 After the festivities that the New year brings the Jib has got straight down to business with their preparations for the 2016 Scottish Championships which will be held in the Perth Concert Hall on Saturday 12th March. After last years heroics of winning the 2nd Section, the band will be competing in the 1st Section for the first time in their 162 years of history. This year test piece, 'Essay' by Edward Gregson, is a fine musical test for the band who are attempting to cement a place in the 1st section for 2017. A tough ask but one the band is looking forward to working towards. The band will once again be conducted by MD Philip Rosier with Rob Hume and Cameron Mabon supplying the early guidance for the band.